at you might be experiencing. 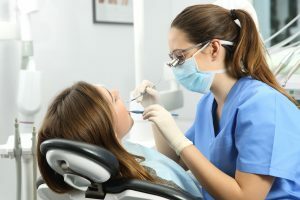 Once the nerve of the tooth has been compromised, whether this be because of decay or a broken tooth, it almost always needs to have a root canal performed. For this reason, it is important to have an exam and x-ray taken of the tooth in question to determine the best course of action. Root canal treatment involves the removal of the nerve of the tooth. Removing this nerve gets rid of tooth-related pain in that area as well as gets rid of sensitivity issues relating to that particular tooth. Root canals are one of the most commonly performed procedures in the dental field, so you can feel confident in having one done successfully. Who Might Need to Have Root Canal Treatment? You have severe decay in one or more teeth. You have a deep crack in a tooth. One of your teeth is severely broken. The procedure is quite easy and straight forward. You will first receive anesthesia to be more comfortable during the root canal. From there, the tooth is drilled into and the nerves removed. The canals of the roots are then filled with a medicated material and the hole is then closed up with composite resin. 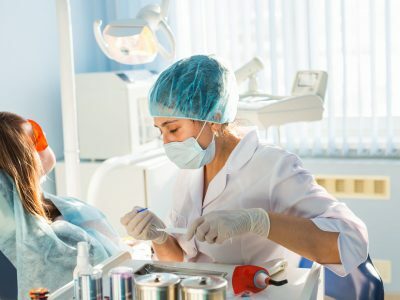 Most people who have a root canal done will more than likely need to have a crown placed shortly after as root canal therapy weakens the tooth’s structure. If you need to have root canal treatment, contact us today!